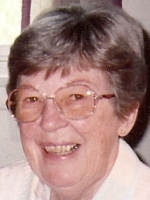 ALBANY – Marjorie Uhl Scilipote, 92, of Albany, passed away peacefully at home on November 22, 2014, surrounded by her family. Daughter of the late Frederick and Verna Uhl, Marge was born and raised in Altamont. She graduated from Altamont High School and worked briefly for Sterling Winthrop in Rensselaer. She was a well-known area artist. When her youngest child was two, Marge began pursuing an education in art, and studied with many locally and nationally known instructors, as well as taking courses at the University at Albany. She was a former member of the Schoharie Arts Council, Old Forge Art Society, Southern Vermont Artists Society, Schenectady Art Group, Bethlehem Art Group, Albany Artists Group and the Colonie Art League. She showed her work in numerous art shows in the Capital District, winning many prizes. At age 50, Marge became the art instructor at the Louise Corning Senior Center and worked there for nearly 30 years, retiring in 2001. She enjoyed traveling throughout the United States and Europe, and loved residing during the summer at the family’s camp on Helderberg Lake, relaxing with a good book or tending her garden. She will be greatly missed by her family and her special grand-dog, Pippin. Marge was pre-deceased by her husband of 69 years, Joseph Scilipote, who passed away in October 2012. She is survived by her children, Susan (Paul) Kaiser of Guilderland; Paul (Carly Wright) Scilipoti of Berne; Mary Jane Breedlove of Charlton; Teresa Scilipote of Albany; and Jean (Mark) Horn of Coxsackie. She was the beloved Grannie to her grandchildren, Matthew (Kim) Kaiser; Sarah (Todd) Rosa; Rebecca (Brad) Junco; Andrew (Danielle) Breedlove; Jessica (Chris) Evans; Abby, Katie and Colleen (fiancé Ryan Lane) Hammond; and Turi and Ian Scilipoti; and her step grandchildren, Brandon, Dusty and Emily Horn. She was a wonderful Ahmi to her great grandchildren, Emilie and Brodie Kaiser; Allison and Ben Rosa; Lillie and Owen Junco; and Kaitlyn and Jack Evans. Marge is also survived by her brother, Robert Uhl of Westmere, and many nieces and nephews. The family would like to extend its gratitude to Dr. Jeffrey Perkins, Fr. John Bradley, staff of the Community Hospice, and especially to her wonderful angels – Paulette, Salome, Abby, Chelsi, Chris, Kiera, Joyce, Colleen and Jim – who blessed Marge with their companionship and tender loving care over the past eighteen months. Funeral services from Hans Funeral Home, 1088 Western Ave., Albany, Tuesday morning at 9:30, thence to Blessed Sacrament Church, 607 Central Ave., Albany, where a Mass of Christian Burial will be celebrated at 10:30. Private interment will take place at Holy Sepulchre Cemetery at the convenience of the family. Family and friends may call at the funeral home from 4:00 to 7:00 on Monday. In lieu of flowers, those wishing to remember Marge in a special way may send a contribution to the Community Hospice of Albany, 445 New Karner Road, Albany, New York, 12205. To leave a message of condolence for the family or obtain directions to the funeral home, please visit www.HansFuneralHome.com . Click here to view Marge’s resting place in Holy Sepulchre Cemetery, Rensselaer, NY. To the Family of Marjorie Scilipote – I am so sorry for your loss. As a mother, grandmother and great-grandmother, she had the best gift of all – a wonderful, loving family. Lynne and I would like to extend or condolences to you at this difficult time. To my Scilipote family, I wish I could be there to give you all hugs and remember Aunt Marge together. I have such fond memories her and Uncle Joe. She was such a kind soul. I remember very well the piece of her artwork that hung at my Gramma Cramer’s house over her couch. She was so talented. I think of the family often and I’m sending you love from Colorado. Blessed be.